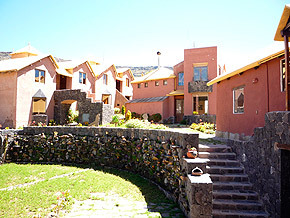 For over 10 years offer the best in accommodation and lodging in Colca Valley - Arequipa, Peru. We have single, double, double, suite, all equipped with modern amenities. The architecture has been designed exclusively for you to fully enjoy your stay. Do not wait, visit us. Room has heating, private bathroom. 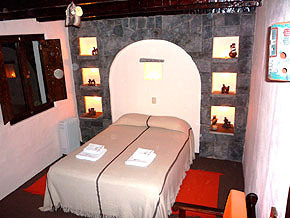 We have large rustic-style rooms, which besides having all the amenities, including decorative elements in the area, greenhouses, heating and all the tranquility that only nature provides. 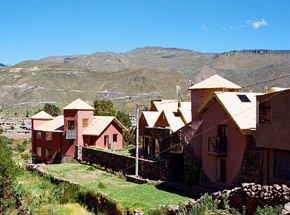 Enjoy classic and exotic drinks at the hotel bar while you enjoy a stunning panoramic view of the Inca bridge over the canyon.